Failure Friday: Fat girls have faces too. 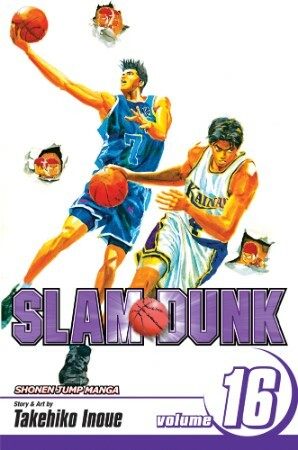 Last month on Failure Friday, I discussed a deeply flawed manga that I love despite its flaws. This month, I’m going to go in the other direction. Though it would be incorrect to state that I “hate” this manga, I find one of its flaws is so distasteful, it ultimately fails to work for me as a reader. 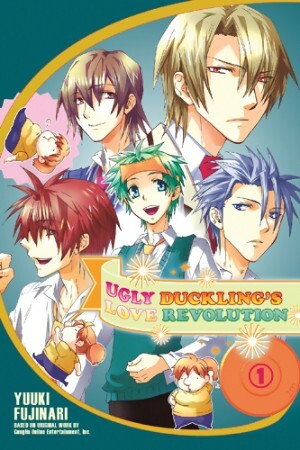 The manga I’m getting around to here is Ugly Duckling’s Love Revolution by Yuuki Fujinari, published in English by Yen Press. 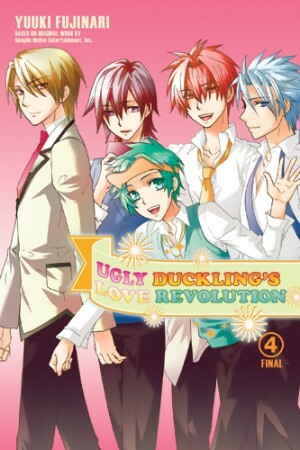 Ugly Duckling’s Love Revolution is the story of Hitomi, an overweight student surrounded by impossibly pretty boys at her elite high school. Even more impossibly, all of the school’s prettiest boys live in the apartment building where Hitomi resides with her brother. Furthermore, they all seem to have an attachment to Hitomi in one way or another, bringing us to the real point of the story: Will Hitomi become romantically involved with one of them, and will she have to lose the weight to do so? 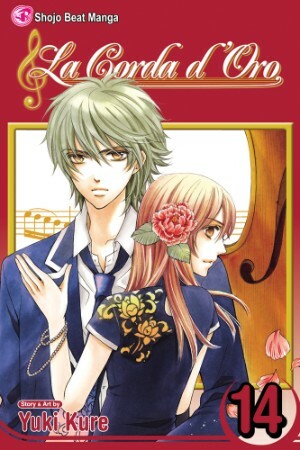 In case you haven’t guessed by now, this manga is based on a dating sim. And though this accounts for the simplicity of its plot, that wouldn’t necessarily be a bad thing. I genuinely enjoy romance, even sometimes of the harem variety, so the overall lack of thematic complexity is not in itself a deal-breaker. Even the brother character’s blatant sister complex is not enough to drive me away. What makes this manga’s simple-minded approach less palatable, is its portrayal of Hitomi, particularly in terms of her relationship to food and to her own body. As any obese person can tell you, there is absolutely nothing simple about a young fat person’s daily life, and as a result, the manga’s approach seriously marginalizes its heroine and any readers who might genuinely identify with her. While the series’ other characters get relatively detailed facial features–shaded eyelids, carefully lined, large eyes, real contour to the nose and cheeks–Hitomi gets two dots for eyes, a comic-strip nose, a Simpsons-quality mouth, and a couple of giant circles on her cheeks. She’s like a permanent chibi. Furthermore, the story’s other overweight character (a boy who supplies her with cookies, natch) is drawn in the same caricatured way. Newsflash, people: Fat girls have faces too. Even just with the character design, the artist has already made it clear that fat kids aren’t real people. They may be kind and helpful, and others may even like them, but they can’t actually be fully-realized human beings until they’ve adequately slimmed down. Hitomi’s not working so hard so that she can finally get some romantic attention from the hot neighbor boys, no, she’s fighting to earn irises and normal NOSE. And while a more thoughtful artist might indeed use something like this as a metaphor for Hitomi’s actual feelings about herself, a concept like that is clearly well out of Fujinari’s depth. Now, I mentioned that my discussion of volume one was not uncomplimentary, and that’s true. Even with this major caveat, I thought the series had some good points. As I made my way through volume two, however, my patience began to wane. Here Hitomi endures nasty comments, some pretty grueling exercise (thin people, try climbing a mountain with a 100-200 lb weight wrapped around your torso, and you might have some idea of what it’s like for Hitomi), and some physical symptoms of dieting she didn’t quite expect. And while these are certainly realistic things, there’s absolutely no sense of Hitomi’s real feelings about them. She gets momentarily angry at the mean, thin girl who treats her like dirt, she feels tired from the exercise, and she worries about her split ends. This is seriously the extent of her emotional range on these issues, which makes one wonder how she even became overweight to begin with. Fat people eat for a reason, and any one of these might do, but nothing seems to have much of an effect on our easy-going heroine, whose only real stumbling block seems to be an occasional, vague longing for her beloved cookies, which is easily dismissed by her newfound sense of duty. 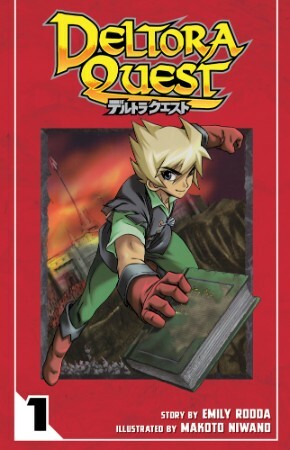 I have to wonder, is there anyone involved with this manga (or the game it was based on) who has struggled with overweight? It seems impossible that there could be. Even taking into account the game’s backstory, yet to be revealed in the manga but uncovered by Brigid Alverson in her review of the series, the entire thing reads like a thin person’s perspective on obesity. The series exists in that stereotypical mindset where physical fitness is as simple as a balanced diet and exercise, and fat people are lazy gluttons who simply lack willpower (and possibly basic intelligence). It’s simplistic, insulting, and just blatantly not true, which begs the question, who is this manga actually for? Surely not fat girls, or at least not real ones. All this said, it would be reasonable for one to ask why I’ve bothered reading this manga at all. What did I expect from a series based on a dating sim? Why don’t I just walk away? The truth is, it’s hard to walk away, when this highly flawed story is still the only manga I’ve personally encountered that features an overweight, female romantic lead. And isn’t that just sad? So, readers… Ugly Duckling’s Love Revolution: failure or not?